GenreOnline.net: Anchor Bay releases the Encore original Hindenburg in February to Blu-ray and DVD. Anchor Bay releases the Encore original Hindenburg in February to Blu-ray and DVD. 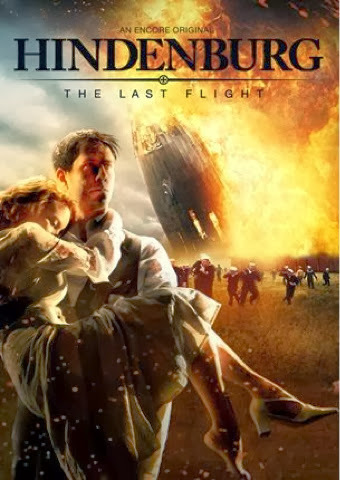 On February 11th, Anchor Bay Entertainment releases “Hindenburg - The Last Flight” on DVD. This unforgettable fictionalized account of one of the most shocking accidents of the 20th Century originally aired in two parts on ENCORE's Big Miniseries Showcase. Filmed in Germany this is an alternate history of the tragic event that rocked the world and imagines passengers in a desperate search for explosives that have been planted onboard the aircraft by a ruthless businessman. The SRP is $29.98. The pre-book is January 15th. The year was 1937, the world was on the verge of war and the Hindenburg was the pride of powerful Nazi Germany. “Hindenburg - The Last Flight” is a fictional account of one of the most devastating accidents in aviation history, which reveals an insider look into the story before the airships fatal destiny. Maximilian Simonichek (The Foster Boy) leads an international cast of seasoned actors, as Merten Kroger, a young engineer who led the design of the legendary Zeppelin. A man of meager means, he falls in love with a wealthy socialite that is beyond his reach. Lauren Lee Smith (“The Listener,”) stars as Jennifer van Zandt, the daughter of Edward van Zandt, played by Golden Globe® winner Stacy Keach (The Architect, The Bourne Legacy), a wealthy, American oil industrialist with power and privilege. Edward van Zandt's desire to gain riches will stop at nothing, even if it means putting the Hindenburg, its passengers and crew in danger. Unlike anything you’ve seen before,“Hindenburg - The Last Flight” is an intense dramatization of a piece of history that includes intrigue, murderous conspiracy, and ultimately, a devastating disaster that the world will never forget.